Try a Hill Country Getaway in the heart of Texas and you won't be disappointed. There are many interesting towns to explore including Fredericksburg and New Braunfels....plus lots of sights to see and things to do. This area is unique from the rest of Texas with its tree covered hills, streams, cold spring rivers, German towns, wineries and peach orchards. There are many opportunities for outdoor activities along with cultural sights such as museums and historical buildings. 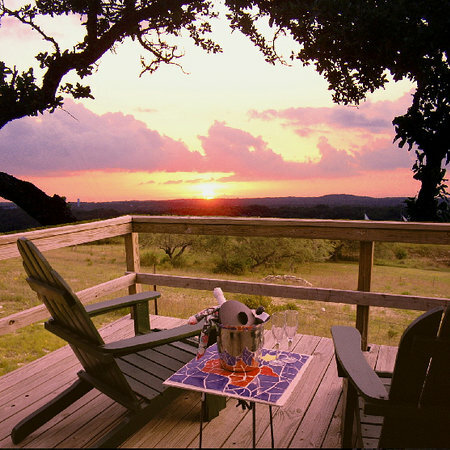 Check out the Texas Hill Country vacation rentals which include cottages, condos and homes. You will also find a wide variety of Hill Country hotels, bed and breakfasts and resorts....along with many restaurants and shops. New Braunfels is a great place as a base in the Hill Country. Here are some New Braunfels deals and vacation packages. Along with nearby San Antonio and Austin check out the towns below for detailed information on these excellent places to base yourself in this favorite destination for Texas weekend getaways and vacations. This German town has many lovely B&Bs and nearby sights to see making it perfect for girls getaways or romantic weekend getaways. There are many outdoor activities around New Braunfels so it is a good choice for a Texas family vacation. Its central location make it a great base for a Hill Country getaway so check out the New Braunfels vacation rentals. Wimberley TX is a quaint town with unique shops, artist studios, theatre and restaurants. 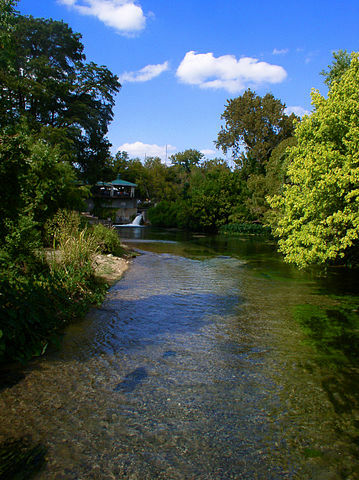 It is located on the Cypress Creek and the Blanco River about 30 miles southwest of Austin. 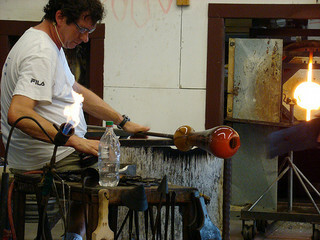 Wimberley Glass Works - Watch glass blowing demonstrations six days a week at Wimberley Glass Works. Wimberley Market Days - The first Saturday of the month March to December is Market Day. There are over 475 booths making it the second largest in Texas. Wimberley Valley Winery - Try some delicious wine from the wine tasting room at this winery which opened in 1983. Perfect for romantic Texas Hill Country getaways, this lovely B&B is one that should be considered. Check out the excellent reviews and more details for the Blair House Inn. Along with the main house, there are small cottages available for guests. The gourmet breakfast is delicious! 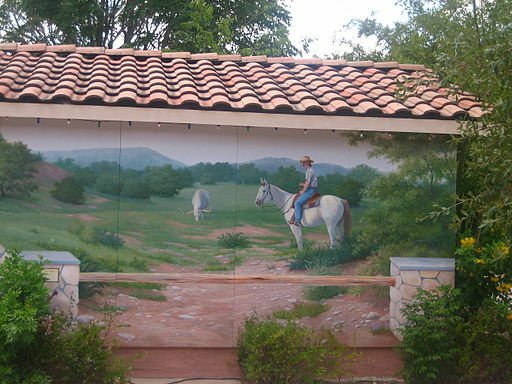 Check out reviews and details with this complete list of Wimberley Texas B&Bs and Hotels. This 3 bedroom, 2 bath Hill Country vacation rental in Texas sleeps 8 people....perfect for a Texas family vacation getaway!. A lovely creek and the Blanco River are nearby. There is a firepit, wi-fi, a 40 inch HDTV and the town of Wimberley is only five minutes away. 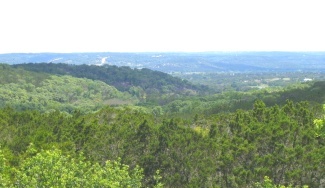 Here are reviews and information for the best Wimberley Hill Country vacation rentals in Texas. San Marcos River is a great place for a family vacatin in Texas. There is family friendly tubing, fishing, swimming and a children's park. No matter what kind of getaway you are considering - romantic weekend, family vacation or just a few days away from the "rat race".... I hope you enjoy this beautiful part of Texas! Now it's your turn...share your Hill Country memories and travel tips with us! We would love to hear from you. Share your best tips and reviews on places to stay and sights to see. You can even add your favorite photo! It's easy....just fill out the form below and then hit the submit button. Don't worry, you will have a chance to see what your submission looks like and then edit it if you'd like. Give your submission a title.